It's commonly believed that first impressions are the most lasting. Make sure you make a good one with a chic hairstyle from Moncton-based Oasis MarcBenoi. Count on salon owner and stylist Marc Leger for classy haircuts to suit your personality and top-quality hair care products for lustrous hair with volume. Whether you're looking to redefine your personal style or work on your professional image, Marc has got all your hair care needs covered. Call today to schedule your appointment and take your first step towards the gorgeous look you've always wanted. 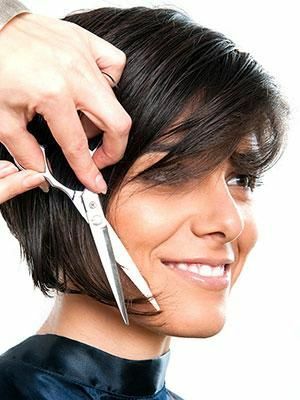 Clients who schedule an appointment within 2 months of their last appointment receive a discount on haircuts and hairstyling. Please ask Marc for details. Marc Leger has over 50 years of experience in the hairstyling industry. He offers all aspects of hair care and related services, with a special focus on precision haircuts. Customer satisfaction is Marc's priority! He puts his experience and training to work for his clients, and happy clients with beautiful, healthy hair are his primary goal. Our hair salon is located between Dufferin Street and Park Street at a central downtown location. There is a large driveway for parking on the left side of the building. The business entrance is on the right side. Please note that the neighbour's private entrance is on the right side of the property. Free all-day parking is available on the east side of Bonaccord Street, on the north side of Park Street and the south side of Dufferin Street. There is also free parking on the west side of Bonaccord Street, after 6 PM on weekdays, and all day long on Saturdays and Sundays. Member of the Cosmetology Association of New Brunswick – Marc has also been a Board Director for this association in the past.